It’s an extremely unsettling experience. You are going about your business and then WHAM! You’ve just been involved in a car accident. Here are a few very important tips to keep in mind to protect yourself and to get the most successful resolution of your claim. 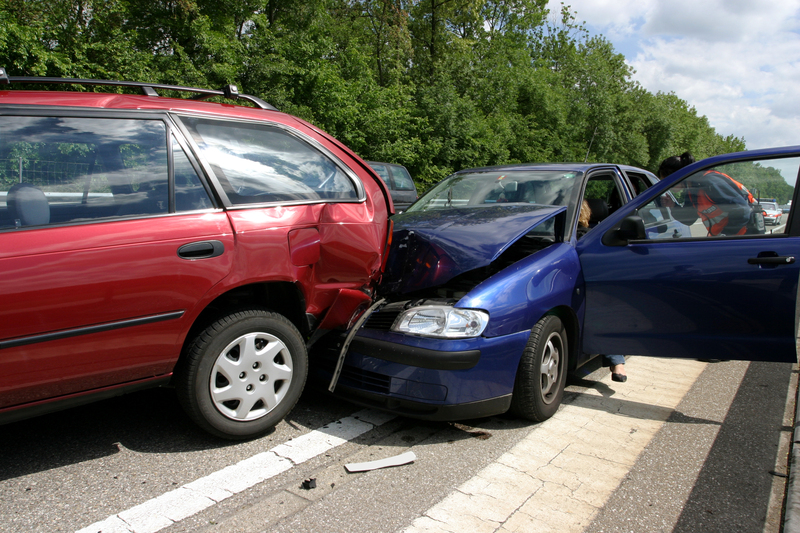 Stay calm – It is only human to be upset when something like a car collision occurs. Try to collect yourself before you speak with anyone. Everything you say at the scene of the accident can come back later. If you are upset or angry, you may say something inaccurate or that you do not mean. Get witness information – Collect the names and contact information from witnesses whenever you can. Even when fault is very clear, it can be helpful or necessary to have objective witnesses give their account of the accident. Gather insurance information – Call the police and get the information you need to collect the police report later. It can take some time before an accident report is created, so it is important to get all information possible at the scene, especially the other driver’s insurance information. Report the accident to your insurance company – Do not delay placing a call to your auto insurance carrier. Some insurance policies contain time limits for notification of an accident. Failure to timely report could result in a loss of coverage. Don’t discuss the accident with just anyone – One of the first phone calls you will receive will be from the other driver’s insurance company. If you are represented by an attorney, direct the insurance adjuster to him or her and end the call. If you are unrepresented by counsel, DO NOT give a recorded statement or sign any documents. Seek the advice of a lawyer before you proceed. There are many, many nuances to each particular auto claim and anyone other than an experienced professional is unlikely to competently navigate this complicated terrain. Keep a diary – You likely do not remember what you were doing on this very day last year. Imagine working in all the details of doctor visits, physical therapy sessions, and the challenges of conducting your daily activities while recovering from an injury! It is just too much for the average memory. At some point in the future you may be asked to testify about all of these details, including an itemization of any expenses you personally covered. A daily log or diary can be a valuable memory refresher. Stay off social media – EVERYTHING you post can be used against you. It cannot be said enough that there is nothing to be gained and too much to be lost in publicly displaying your life right now. Consult with an attorney – It is important to understand your rights and obligations when filing an insurance claim. Things may not always be as they appear. Do you have limited or full tort coverage? Do you know the difference? The answer could have a strong impact upon your ability to make a claim for non-economic damages. What if the other driver is uninsured or lacks enough insurance to fully compensate you? Who should pay your medical bills? These are just a few of the questions that commonly arise. This area of the law can be complicated and perilous without expert legal advice. Lynn Fleisher has been representing plaintiffs in auto accident cases for over 26 years. A partner in the Collegeville, PA law firm, Keenan, Ciccitto & Associates, Ms. Fleisher has litigated hundreds of claims and successfully settled hundreds more. All cases are handled on a contingency fee basis and initial consultations are free. For more information, contact Keenan, Ciccitto & Associates. Or call 610-489-6170.